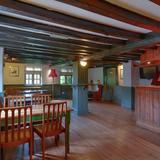 The Lamb is family friendly pub which serves an exciting menu of traditional food. If the weather is good let the kids run wild on the play set while you kick back on the patio and enjoy a few glasses of the house wine. 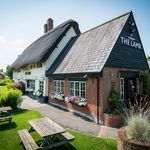 "Located in the historical village of Chalgrove in rural Oxfordshire, The Lamb is a traditional 16th century inn recently refurbished to create a warm and cosy atmosphere. Inside you will find roaring fires in the winter, a lovely dining room and comfy sofas where you can while away an afternoon with a paper and a pint of one of our excellent real and craft ales. Try one of our traditional home cooked meals or one of our specials, all made from wherever possible, locally sourced organic produce. Spend a sunny Sunday lunchtime in our lovely garden sampling one of our fantastic roast lunches or simply join us for drink with friends, whatever the occasion we are happy to help. 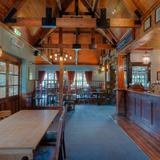 Families and our four legged friends are always welcome and we can cater for parties, weddings and other functions. 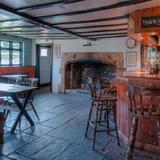 We look forward to seeing you soon at the lamb!" What did you think of The Lamb? I really think pubs should start dropping their beer prices, cause me and a few of the lads have started geeting beers in from tescos had spending less than half the money of a session in the pub. Especially in todays economy. I like the pub but when you have got a free house its not just a much better option!!! !